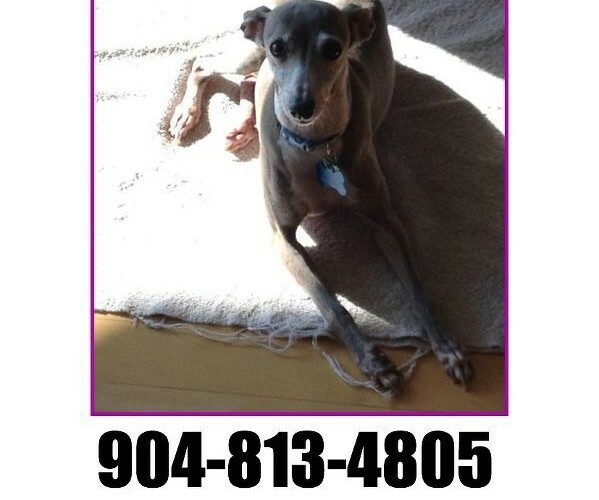 Boots went missing in Riverside, FL on Sunday, she is a 10 year old, tan, female Italian Greyhound weighing about 10lbs. She is wearing a collar and tags, is spayed and microchipped, and despite wishful thinking she has yet to be found. Boots is a naturally shy dog and it is unlikely she will come to the conclusion quickly that she needs outside help, especially from those she does not know. Unless she is exhausted or injured, chasing or attempting to catch will likely only run her farther away so please do not try to call or follow her. If spotted, immediately call David at the number below. If you see her, please contact David at 904-813-4805. Please share! Riverside, FL is near Jacksonville, Florida! Keep your eye out, Italian Greyhounds run and she could have made it well outside that area by now! 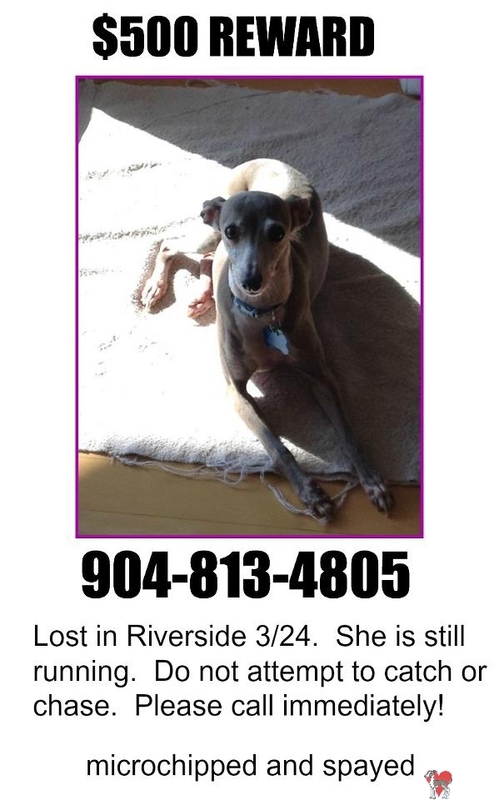 This entry was posted in ALL, Lost dogs and tagged 2013, boots, escaped, female, fl, florida, found, found italian greyhound, ig, iggy, jacksonvill, lost, lost italian greyhound, march, missing, missing italian greyhound, riverdale, riverside, running, saw, senior, spotted. Bookmark the permalink.